The Top Loader Bait Station is a remarkable device– the success Pest Management Professionals are having with it is truly amazing! The versatility of the Top Loader: small footprint, a myriad of time-saving mounting options, and bait versatility– no other station compares! We should add that Commercial Account Managers have found the Top Loader ideal because it holds 14 oz of J.T. Eaton Bait Block or 16oz of liquid bait when the water bottle is used–that’s more than any other station available today! 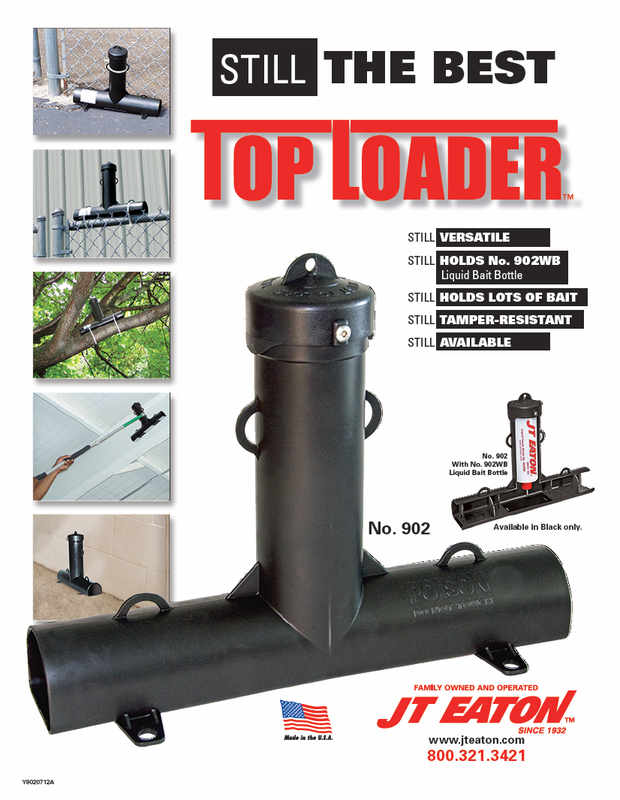 To learn more about the Top Loader visit our web site at http://www.jteaton.com.